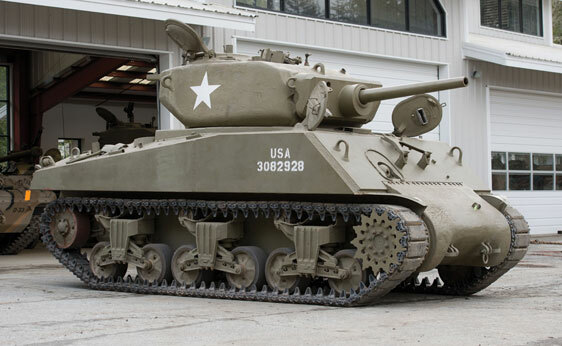 In early 1944, the United States Army decided that they needed an up-armored version of a medium tank for an assault role for the upcoming operations in the European Theatre of Operations (ETO). However, they had rejected previous plans for such a vehicle, and time was short. 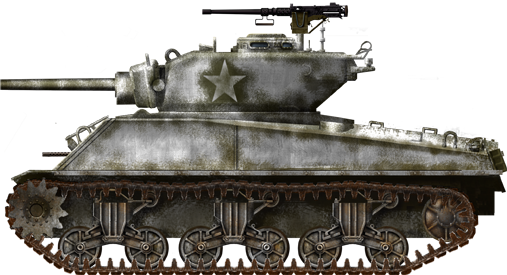 As the new T26E1 would not be ready in time and previous designs had been totally unsuitable for the task, the decision was made to modify the standard US Army medium tank of the time, the M4A3 Sherman. The vehicle became the M4A3E2 Assault tank or Sherman Jumbo. With only 254 built, it represented less than 1% of the total build numbers for the M4. However, it’s iconic profile left a lasting image that is probably one the most easily recognized M4 variants. It should be noted at this point that the name ‘Jumbo’ doesn’t appear in any wartime documentation and is almost certainly a post-war nickname, quite possibly created by a model company. In February 1942, the British tank mission in the United States approached the US War Department with the idea of developing a heavy version of the soon to be produced M4 to meet the expected requirement for assaulting fixed enemy defensive lines. It’s likely that the British plan was to ask the Americans to cast a heavier version of the M4A1 by increasing the casting thickness up to 3 ½” (89 mm) on the glacis (front upper hull plate) and 3” (76 mm) on the sponsons (side upper hull plates). 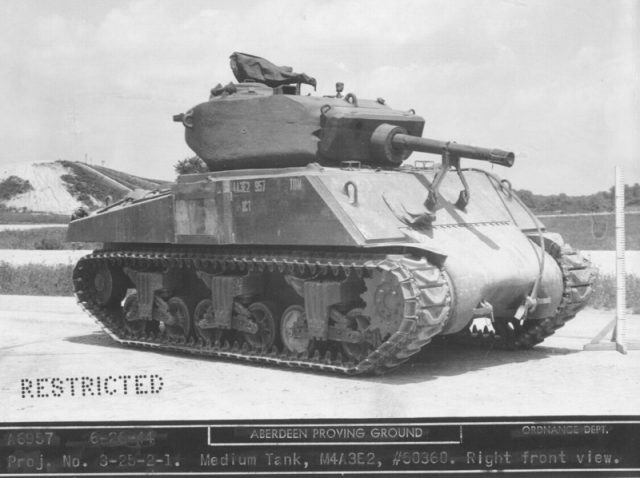 Although this early plan came to nothing, the US Ordnance Department didn’t entirely forget about the idea and on 17th December 1943, the General Motors Proving Ground was directed to test an M4A3 with additional loading to a weight of 82,600 lbs (37466 kg). After 500 miles, it was found that “no abnormal failures were encountered. It, therefore, appears feasible to convert a medium tank to an assault tank with a weight of 82,600 lbs. If only limited operation is to be encountered.” This was therefore intended as a vehicle to be used on an as-needed basis and not for long periods of time or distance. The M4A3 test tank with ballast fitted on 18th January 1944. The recently developed extended end connectors were fitted and helped to reduce the ground pressure even with all the additional weight. These extended connectors replaced the standard connectors that were used to join the individual track shoes together and added extra width to the track to disperse the weight of the vehicle. They were often called ‘grousers’. Meanwhile, the Armored Fighting Vehicles and Weapons section (AFV&W) of the US Army European HQ put in an urgent request in January 1944 for 250 heavy tanks for the upcoming campaign in Europe. The request was based on the need for a tank to breach the Siegfried line. The following month, the Development Division of the US Army Ground Forces (AGF) agreed, but as the new T26E2 heavy tank was not expected until the following year, it was recommended that an expedient design should be based on an up-armored M4A3 medium tank. An alternative was offered by the Ordnance department, which proposed the old M6 heavy tank be modified to fulfill the role. The Ground Forces opposed this option because of the many problems of the M6 that were exposed during trials. 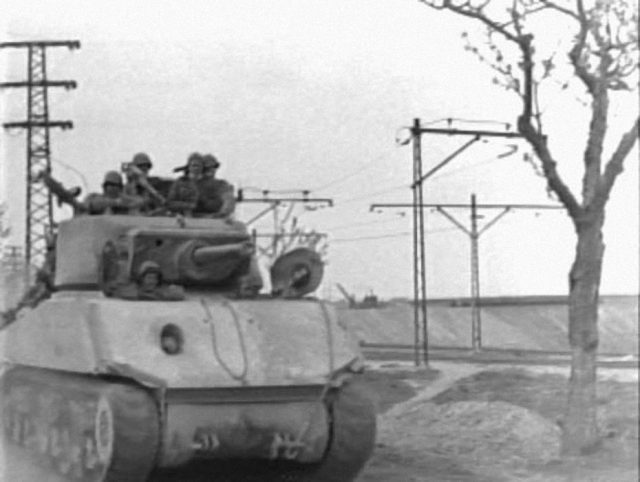 In March 1944, all parties agreed that the best solution was the up-armored M4 assault tank. On 2nd March, the Ordnance Technical Committee recommended that “the M4A3 with heavier armor be designated Medium Tank M4A3E2.” An order for 250 vehicles with 4 pilot vehicles was recommended and on 23rd March the order was approved. They were to be available to the army by August 1944. The contract was awarded to the Fisher Body Corporation in Detroit. In an unusual move, Fisher was notified in late March that “in order to expedite delivery of the M4A3E2 Assault Tanks, certain requirements of applicable specifications will be waived for the total of 254 vehicles”. Put simply, the US Government trusted Fisher to do the job to the standard required without the need for the normal and rather time-consuming testing regime. This explains how the tank maintained its ‘E’ number designation. The letter ‘E’ stood for experimental and if the Ground Forces found the vehicle unfit for task, Fisher would still have been paid for all 254 ‘experimental’ vehicles which then would have remained in the US. As it was, all vehicles were provisionally accepted and 250 were authorized for overseas shipment at the end of May 1944. 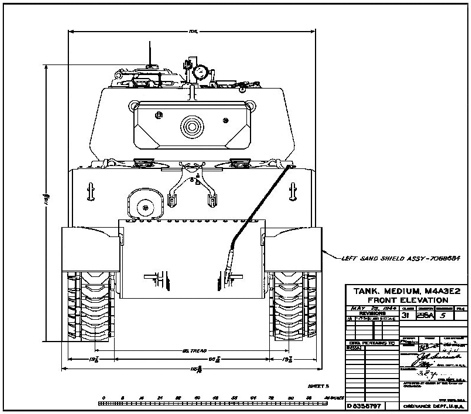 The M4A3E2 was to have an additional 1 ½” (38 mm) of armor plate welded to the upper hull front and sides, taking the overall thickness to 4” (101 mm) on the front and 3” (76 mm) on the side. The rear upper hull and top were unchanged, as was the lower hull. To ensure a good weld the additional side armor was welded in two pieces with a 2” (50 mm) gap in a vertical center line filled with weld. The additional plate had a keyhole cut into it to allow fitting over the existing bow machine gun ball mount. The standard beading that the dust cover fitted to was then welded to the new plate. The normal lights and sirens were not fitted. The 75 mm gun travel lock was fitted on 3” (76 mm) spacers. Union Steel foundry was subcontracted to cast a heavier final drive assembly cover. The new casting was 3000 lbs (1360 kg) heavier than the standard and had a thickness that varied from 4” (101 mm) to a maximum of 5 ½” (139 mm). The new casting had to have a substantial ridge along the upper edge to allow for the fitting and bolting to the upper hull. Pressed Steel Car was subcontracted to assemble and finish the turrets and gun mounts with the actual casting being done by Union Steel and Ordnance Steel foundries. The turret was based on the T23 76 mm turret with a similar internal layout and a full basket, but the pistol port was eliminated. The thickness was approx 6” (152 mm) all around but it did reduce to 2 ½” (63mm) at the rear below the bulge. The 75 mm gun was installed in a modified M62 Gun Mount normally used for the 76 mm gun. 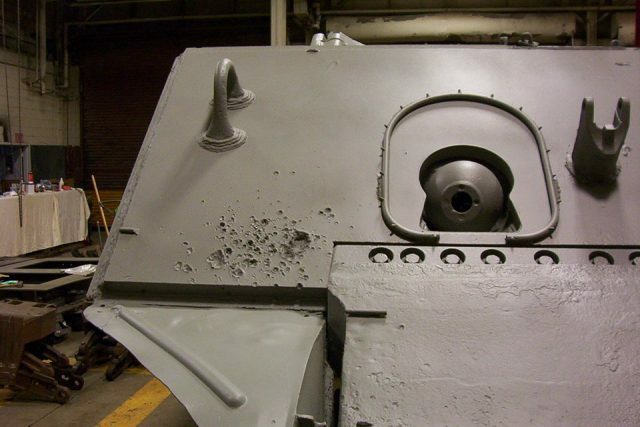 An additional 5” (127 mm) of armor plate were added to the M62’s original 2” (50 mm) cast gun shield, creating a huge mantlet covering nearly ¾ of the turret front. This modified mount was designated ‘Combination Gun Mount T110’. The completed turret weighed in at an impressive 20,510 lbs (9303 kg), roughly 5000 lbs (2267 kg) heavier than the original T23 turret casting. The gun shield alone was 1100 lbs (498 kg) heavier than the standard shield. Combat load included 104 75 mm rounds for the main gun, 600 rounds for the .50 caliber, 6250 rounds for the .30 caliber, 900 rounds of .45 caliber, 18 hand grenades and 18 2” smoke rounds. To allow for all the additional weight of the tank, extended end connectors were fitted as standard to the tracks. These increased the ground contact by nearly 10% and kept ground pressure to a fairly reasonable 14.2 psi, compared with 13.7 psi for a standard M4A3 without extended end connectors. Although the original Ford GAA V8 powerplant was retained, the final drive ratio was increased to 3.36:1. This reduced the top speed to 22 mph (35 km/h), but the tank maintained reasonable acceleration even though it now weighed 84000 lbs (38101 kg). It could climb a 60% slope, cross a 7’6” (2286 mm) trench, climb a 24” (609 mm) vertical wall and ford 36” (914 mm) of water. Fisher completed production in July 1944. 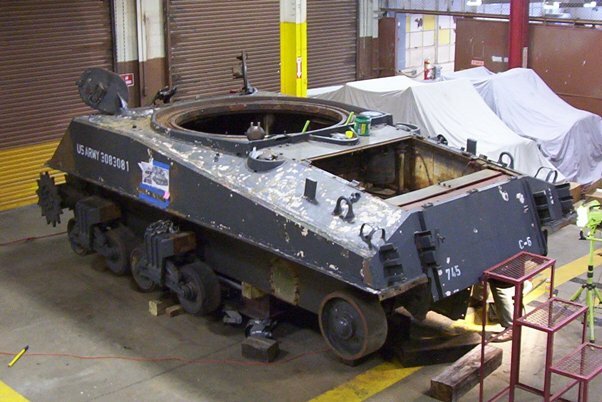 On the 8th June, tank 50326 was shipped to the Chrysler Tank Arsenal Proving Ground in Detroit for endurance trials. After some 400 miles which resulted in one broken spring it was however noted that the same “low milage failures had been experienced with standard weight vehicles”. It was apparent though that the additional weight of the Jumbo was seriously taxing the standard vertical volute suspension of the M4. The difference can be seen between the three different bogie sets in the picture taken at Aberdeen. The middle and front bogies are clearly overloaded with the front set arms almost horizontal. As a result, the following order was issued “One thing that users must realise is that, in rough cross-country operation, the front volute springs will fail if permitted to ‘bottom’ violently”. After the endurance test, tank 50326 was sent to Aberdeen Proving Ground (APG) for ballistic testing. As these tests took place in September 1944 some time after the M4A3E2 was released for overseas shipment the tests were for “information purposes only”. The tank was tested to destruction. The first vehicles arrived in the New York port on the 14th of August 1944. On the 29th, the 12th Army Group was informed by the War Dept that 250 M4A3E2 Assault tanks had been released and would be in the ETO in September. On the 1st September, the 3rd Armored Division put in a request for 150 M4A3E2s from 12th Army Group. The first 128 Jumbos arrived in France via Cherbourg on the 22nd September 1944. Clearly someone at 12th Army Group needed a little extra work on their basic maths! The last recorded delivery was on the 9th November when 746th Tank Battalion of the First Army was issued a further nine Jumbo’s. The tanks were well received and the advantages of the additional armor were quickly appreciated. Jumbos were chosen to be the standard point tank any time advances were made with opposition expected. A 76 mm armed Jumbo of the 3rd Armoured Division, Cologne, 6th March 1945. Crews did still feel the need to add more armor and sandbags were a common addition to the glacis and in a few cases concrete was used. The additional weight of 4”-6” (101-152 mm) of concrete right on the nose of the tank must have made it a very difficult proposition to drive. The front bogie was almost certainly beyond its maximum weight capacity by that point and a mechanical failure on the front bogies was most likely a case of when, not if. M4A3E2 of 743rd Tank Btn, Altdorf, 27th November 1944. Sandbags covered with hessian and possible turf on the glacis. Because of the nature of their employment, the Jumbos suffered heavy losses. 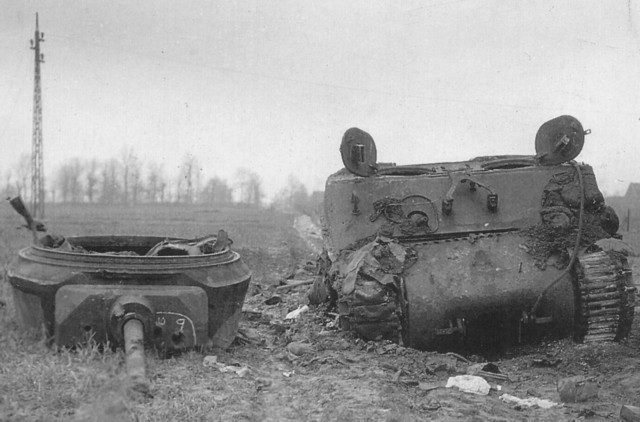 The 4th Armoured Division alone recorded 24 M4A3E2s lost in action in their after action report at the end of the war. Twenty four lost in one division may not sound like a lot, but when it is considered that nearly 10% of the total production run of the vehicle was lost in one division it shows they clearly bore the brunt of the fighting wherever they were present. Even with all the additional armor, Jumbos were still as vulnerable to mines as any other tank (minefields often covered approach routes to German positions) and concentrated anti-tank gun fire. This Jumbo of 743rd Tank Battalion was knocked out on 22nd November 1944 near Lohn, Germany. It was hit by four 88 mm rounds from an anti-tank gun 800 yds (730 m) away. One bounced off the glacis plate and two off the manlet before the fourth actually penetrated through the gunners telescope opening (chalked ‘9’ by Divisional Intelligence staff). 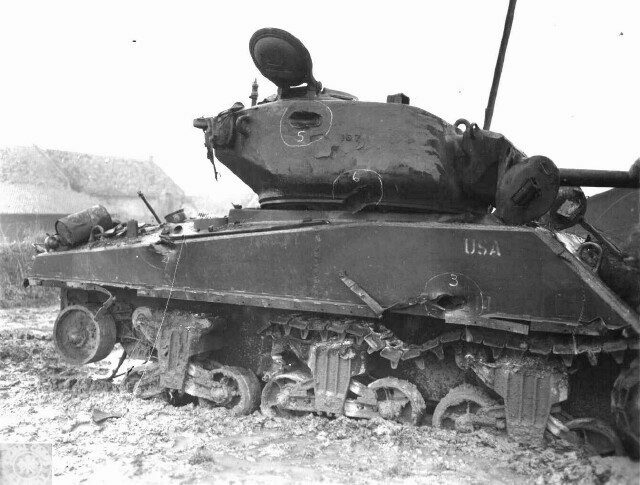 Another Jumbo of 743rd Tank Battalion also knocked out in the same operation. This one was disabled by a ‘friendly’ mine and abandoned by its crew with no casualties. After it was abandoned the Germans concentrated anti-tank fire on it to ensure it wasn’t recoverable. During February 1945, approximately 100 M4A3E2s were upgunned to 76 mm using guns recovered from knocked out 76 mm armed M4s and normal supply stocks. This upgrade was a fairly straight forward field modification, as the combination gun mount was originally designed for this gun. The more complicated part of the conversion was the modification of the main gun ammunition stowage. This required removing the turret and the fitting of 76 mm racks in place of the shorter 75 mm racks. These replacement racks were then secured in place with a series of fabricated welded braces. Records indicate that conversion took 75 man hours per tank. Out of the 250 sent to Europe, today there are believed to be eight complete survivors and one further hull and turret. Of the four test vehicles that remained in the States, none survived. Of these four, only one cannot be positively accounted for. The first was destroyed during impact testing as stated above. The second was used as a post war test bed for two different flame thrower tanks and was then used as a range target at Ft Knox. The third was sent to the Aberdeen Proving Grounds for additional testing. Its disposition is unknown but it was likely scrapped. As for the fourth, it was last reported in a depot in Pennsylvania in 1945. It may still be somewhere awaiting discovery but in all likelihood it was also scrapped. This up armored M4A3 (76) HVSS of the 4th Armoured Division shows the addition of armor plate to the glacis and turret. Alongside the up gunning of the Jumbo’s, the 12th Army Group commissioned the building of what became known as Field Expedient Jumbos. These were M4A3 (76) HVSS (often called M4A3E8s or Easy Eights) with additional armor welded to the glacis and turret. These tanks often achieved very near levels of armor to the original Jumbos. The additional armor was scavenged from wrecked tanks. Other M4s and Panthers were preferable. Entire glacis plates from wrecked M4s could be cut out and welded to the new vehicle without needing to move gun travel locks or cutting new apertures for the bow machine-gun. Much of this work was carried out by three civilian factories with an allowance of 85 man hours per vehicle. 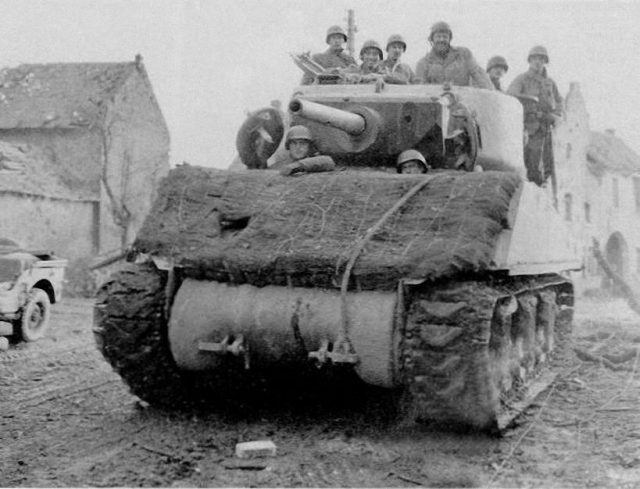 M4A3E2 “Jumbo” from the 33rd Battalion, 3rd US Armored Division, Houffalize, Belgium, January 1945. 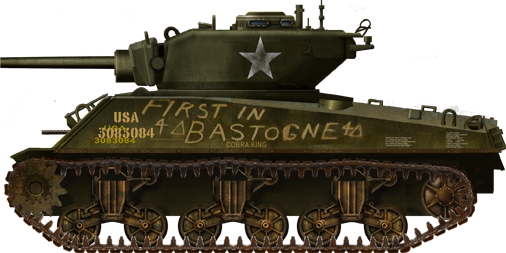 M4A3E2 Jumbo “Cobra King” with the “First in Bastogne” inscription, probably the most famous Jumbo of the entire 4th Armored Division. M4A3E2(76) Jumbo from the 37th Tank Battalion, 4th Armored Division, Alez, Germany, March 1945. Colonel Creighton Abrams’ “Thunderbolt VII” and his famous personal insignia, Horazdovice, May 1945. This vehicle was a prime example of a Field Expedient Jumbo, being an Easy Eight with added armor. Without doubt the most famous of all the Jumbos was named ‘Cobra King’, the first tank into Bastogne in Belgium, the vital crossroads town at the centre of the fighting during the Battle of the Bulge. Cobra King was issued to 37th Tank Battalion of the 4th Armoured Division on the 24th or 25th of October 1944 and was assigned as the company commander’s vehicle of Company C. Much detail of Cobra Kings war service is difficult to confirm with absolute certainty but some of it is as follows. From the time of its issue to its loss near the end of the war, Company C had five commanding officers who were all therefore Cobra King’s commanders. Before the Battle of the Bulge details, of Cobra King’s actions are difficult to confirm. 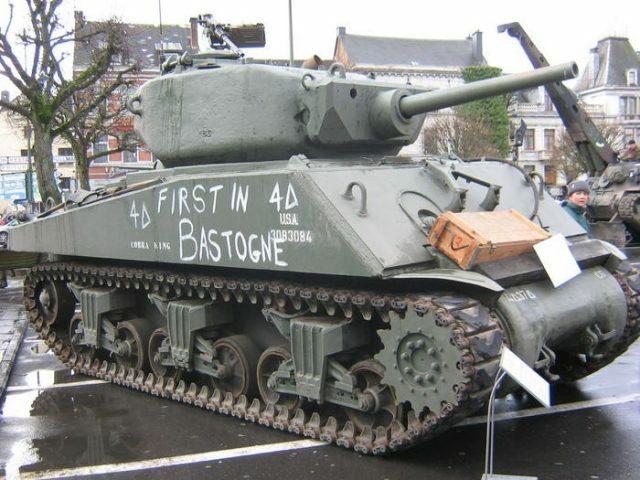 A well known one is on the 7th November outside Fontany, France when during an attack Cobra King took a hit to the final drive assembly that disabled the tank and left it with a permanent battle scar. During the German winter offensive, the Battle of the Bulge, the important crossroads town of Bastogne, Belgium had been cut off and surrounded by German forces. Patton’s Third Army was tasked with trying to break through the German lines in the south with the 4th Armored Division as the main spearhead of this counterattack. 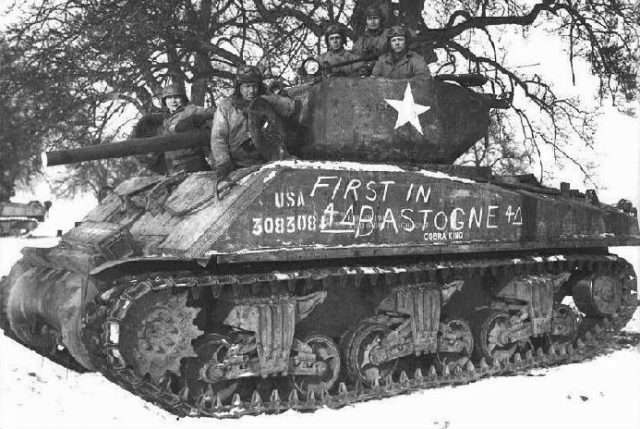 On December 26, 1944, Lt. Boggess, commander of Cobra King, was fighting his way on the road from Assenois, Belgium to Bastogne. The following passage is from an article written by Charles Lemons, former curator of the Patton Museum. While records of the rest of the crew are not so complete the crew during the Battle of the Bulge is known. Cobra King was one of the Jumbos to receive a 76 mm gun upgrade and it’s coaxial machine-gun was also upgraded to a .50 cal (12.7 mm) in early 1945. The next part of Cobra Kings known service followed in March. More from Charles Lemons article. 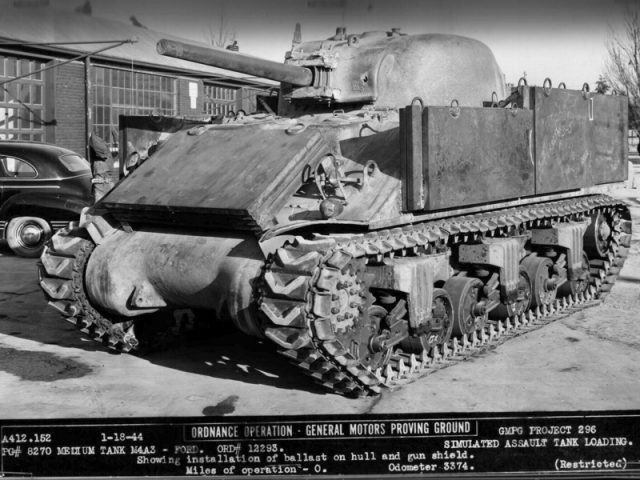 After doing more research and discovering a post-war photo of an M4A3E2 Jumbo at a repair depot in Lager Hammelburg that had matching characteristics of Cobra King, the theory was presented that this was Cobra King and that it had participated in “Operation Hammelburg” the controversial mission which was personally ordered by Third Army commander General George S. Patton. The operation took place on March 26-28, 1945 with the official purpose of liberating a prisoner of war camp, OFLAG XIII-B, near Hammelburg, Germany. But unofficially, it’s purpose was to free Patton’s son-in-law, Lieutenant Colonel John Waters, who was taken prisoner at Kasserine Pass, Tunisia, in 1943. A small task force comprised of men and vehicles from the 37th Tank Battalion and 10th Armored Infantry Battalion commanded by Captain Abraham J. Baum, was formed. 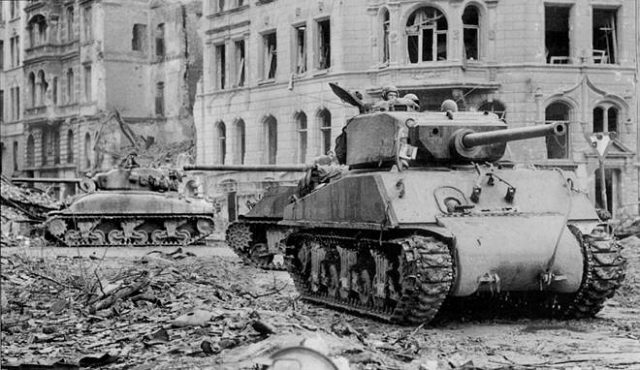 Task Force Baum consisted of M4A3 Shermans, M5A1 Stuarts, M4/105 Shermans, Jeeps and halftracks. The total strength was 314 men and 57 vehicles. The task force fought through German lines with serious losses and reached Hammelburg and liberated the camp, but Patton’s son-in-law was wounded and had to be left behind. Ultimately, the entire operation turned into a total failure when German forces in the area eventually overwhelmed the small task force, destroying or capturing all vehicles and capturing Baum and almost all of his men and the liberated POWs. 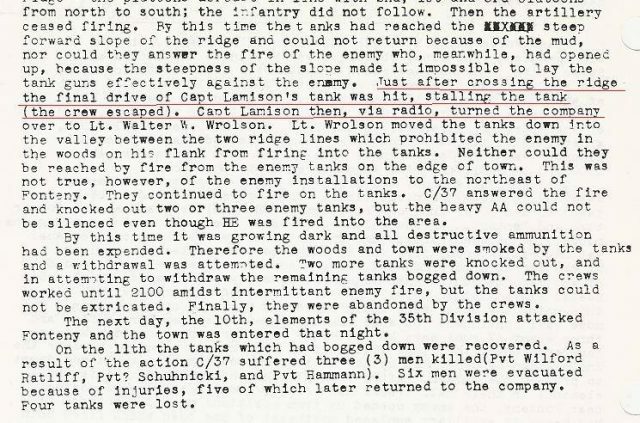 Since Company C of the 37th Tank Battalion was in this raid, it leads to the question – did Cobra King participate in the ill-fated Hammelburg mission? In the book RAID! : The Untold Story of Patton’s Secret Mission by Richard Baron, Major Abe Baum and Richard Goldhurst, Baum stated that a tank named “Cobra King” commanded by Lt. Nutto was knocked out and abandoned on March 27, 1944 as it approached Hammelburg. But some historians have discounted this entry citing that the need for speed was essential on this mission and that a heavy, slow-moving Jumbo would be a hindrance. Further research by Don Moriarty has revealed that it is likely that Cobra King was actually hit by a Panzerfaust as the convoy was preparing to leave the camp not on the approach as originally thought. It is likely that this was the cause of the damage to the number three left side bogie station. The internal fire is not now thought to have happened at the time of the raid. As there was no main gun ammunition in the tank at the time of the fire and only machine-gun ammunition, it is believed that the Germans attempted to destroy Cobra King by torching her as the 14th Armoured Division approached Hammelburg in April 1945 to prevent it falling back into US hands in an operational condition. After the war, Cobra King became a monument tank, put on display at various American bases in Germany, Kitzingen (Harvey Barracks), Crailsheim (McKee Barracks), Erlangen (Ferris Barracks), & Vilseck (Rose Barracks) where it remained in obscurity, the wrong registration number painted on its side from one of its numerous repaints. In May 2001, Army Chaplain Keith Goode was checking out monument tanks while serving in Germany. He was locating serial and registration numbers of Sherman tanks on U.S. Army bases. He passed the information onto the G104 Sherman interest group in the U.S. where member/historian Joe DeMarco confirmed that the tank was indeed the actual Cobra King. After learning this information, another member of G104 stationed in Germany, Sgt. Brian Stigall of the Fifth Battalion, Seventh Air Defense Artillery and Steven Ruhnke, First Armored Division museum curator, paid Cobra King a visit and also confirmed the serial number and passed the information up the chain of command. Along with other Army historians, including Patton Museum curator Charles Lemons, the identity of Cobra King was officially confirmed. 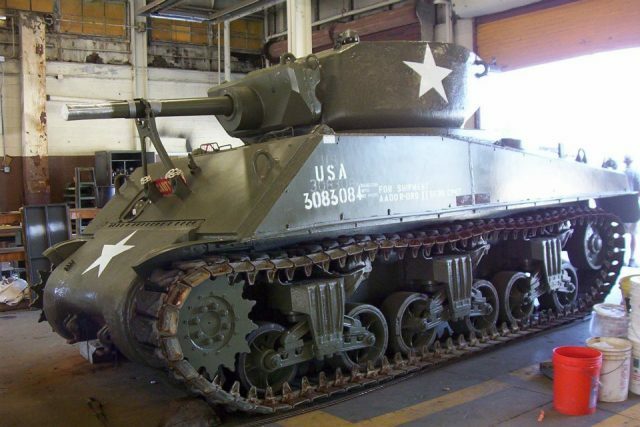 Cobra King was then shipped to the United States and on to the Patton Museum’s workshops on July 9, 2009 for restoration. At first, the plan was to restore the interior and exterior to the way Cobra King looked on December 26, 1944. However, this plan was altered due to findings in the interior of the tank. It was decided by the then Patton Museum director Len Dyer that the exterior of Cobra King would be restored to how she looked during the Battle of the Bulge, but that the interior would be left showing interior modifications to ammo storage and the damage sustained presumably at Hammelburg. Four Patton Museum volunteers, Don Moriarty, Garry Redmon, Coleman Gusler and Robert Cartwright were selected to work with museum staff on the restoration along with other volunteers who also contributed to the restoration. Today another Jumbo is in the town of Bastogne. It is not Cobra King, but it is painted in its markings in honor of this famous tank. It is however now missing its extended track end connectors. It is the only surviving Jumbo outside of the United States now that the real Cobra King has been returned to the States. The only Jumbo in Europe, from the Belgian Tank Museum. The overall effect of the E2 program was positive. It addressed the very real concerns of the crews that the M4 lacked the armor protection that enemy tanks had. It produced a tank that the Germans had a much harder time dealing with than they were used to. One thing unknown is the moral effect (if any) this had on German crews, as at normal combat ranges the Jumbos would have been difficult to distinguish from standard M4s and the effect of seeing your shots, that would normally disable or knock out a tank, having no effect cannot be a comforting sight! So it’s like a up armored Sherman, with more armor than a Tiger. But the Tiger’s gun could still pen it from a distance right? Also, was it a common thing to put extra spaced armor on Sherman’s? Even with this having 177mm of armor sloped? I understand for a normal Sherman, but why the E2? Actually, in a close range combat situations. The Jumbo’s does have an advantage here unless if they’re on head to head combat. German Tank Commanders who commanded Heavy Tanks such as the Tiger-I and the King Tigers preferred to engage Allied Tanks from longer ranges, attacking Allied Tanks from 800, 500 and 100 Yards would be considered suicide due to it’s Mobility and Better Situational awareness because of Shermans having better Periscopes being traversable and does have well-placed Vision Blocks on their Cupolas. But real Tank combat is all about who shoots first, the first shot is enough to scare away any WW2 Medium and Heavy Tanks that leads the Tanker how exposed they were to enemy fire. The Jumbo was immune frontally to the KwK 36. It really depends on the circumstances. A Jumbo at the side of a tiger II could easily handle it, but it most likely couldn’t penetrate the front of the tiger II, except for the turret cheeks with the m1 76mm. But a jumbo shouldn’t even be engaging a tiger II, the Americans had M18s and M36s for that. The extra armor was mainly a morale thing, even when the thing was more heavily armored than a heavy. Also one of the pictures detailed the front of a jumbo defeating a 88mm L/56 3 times before a lucky round went through an optic port.. Were any of the jumbos equipped with 105 mm howitzers? no, but it WOULD probably make for a makeshift infantry tank, in a way… The only 105mm armed Shermans were the M4(105) and M4A3(105) Shemans. One thing gets me though: How sucessful would it be IF a 76mm Sherman turret/T23E3 turret were to be mated with a 17-pdr? Clearly there’s gonna be some modifying to the turret, but it seems reasonable that it would be mated somehow? In my mind that is the perfect Sherman, hull and turret of the M4A3E2 jumbo, HVSS suspension, and a 17-pdr gun, it would instill fear into the german army. You people must just gloss right over and conveniently ignore the part where it says how “we tested it and the M4 Medium chassis CAN carry 80,000lbs, but not for normal service”. They slapped twice as much armor on a chassis than it was designed for. It was able to carry it around, but it would have made for a tank that broke down even more than Tigers. 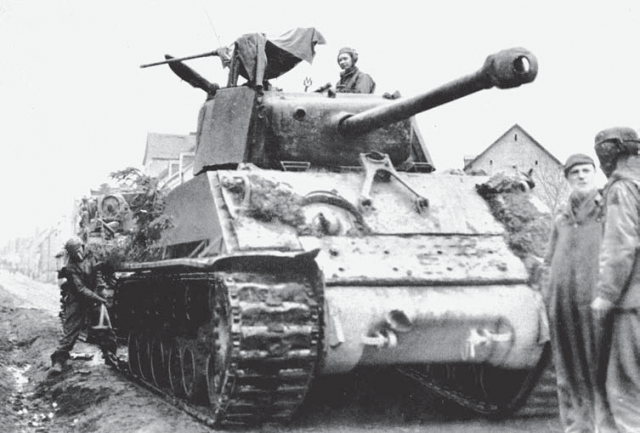 The biggest reason Germany managed to use Tigers to such good effect is that they were fighting on the defensive the majority of the time, and didn’t need to drive long distances (when they did they invariably left large numbers of destroyed Tigers behind when they broke down). Trying to drive across Europe with a bunch of M4s carrying twice the weight of armor they were designed for, AND a gun twice as heavy as intended (mostly in the nose) is a recipe for trouble. They didn’t do it because it was a bad idea, as bad as the Tiger II was. Why do you think they only built 250 of them? They were useful for a few very limited purposes, but that’s about it. And they needed constant repair to keep on the roads; the Allies were driving long distances at high speed, trying to maintain momentum. They didn’t need to be lugging a bunch of mechanical nightmares along with them. The Jumbo was impenetrable from the front by the Tiger I, save for the mg port. Even IS-2’s 122mm D-25-t was theoretically incapable of penning the frontal plate or turret of the M4A3E2. There is a difference between theory and practice, and in reality no tank no matter how heavily armoured is truly ‘impenetrable’. It depends highly on the range the shot was fired from and the angle and location of where it impacts. 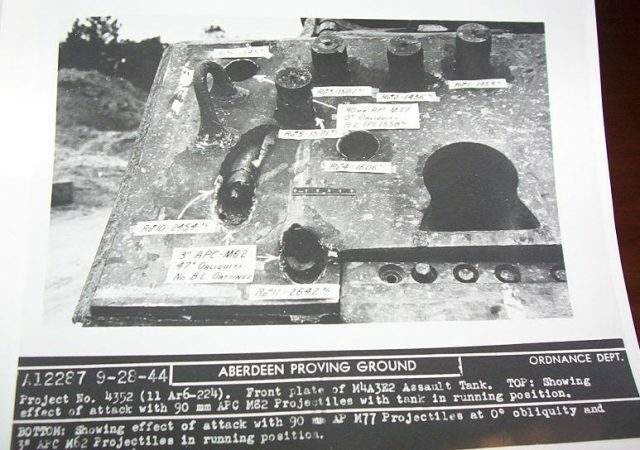 For instance as the Article mentions an M4E2 was penetrated through the periscope port on the mantlet despite it being a rather small opening in the armour. Exactly. A tank may be “impenetrable”…but only when hit square on the armor. The armor is full of gaps, welds, and other weak spots that won’t LIKELY be hit by any given shot….but that shot is going to hit SOMEWHERE, and that’s often directly on a vision slit, a MG ball mount, a weld, a shot trap, the join between turret and hull, the suspension. Even the armor itself varied a great deal; a piece that was given poor heat treatment won’t stand up to the theoretical strength. The Germans had big problems with alloys, finding the correct material, so it really depended on what specific tank you shot at. One Panther might laugh at a hit from an 85mm (frontally, anyway, not from the side or top), while it might punch right through another. A tank might be totally “impervious”, yet the shot will go right through small port anyway. All these kids who spend all their time playing WOT “knowing” which tanks are “invulnerable” to others, but it really has a hell of a lot more to do with luck and tactics than anything. No tank is invulnerable. I like the story about the M8 Greyhound that got on the road behind a Tiger II and knocked it out with its 37mm gun. You tell that to WOT players and they’d insist it was impossible, and quote you the states on the Tiger IIs rear armor and the 37mm gun’s penetration values. Yet the fact remains that IT ACTUALLY HAPPENED. They found a weak spot, and killed the tank. Period. The aviation equivalent is “the Golden BB”, where the guy on the ground with an SKS or Moisin-Nagant manages to take out a modern jet with a single lucky bullet. It’s not “impossible”, it’s “unlikely”. But it can, and does happen. You fly an F-22 overhead and a single guy with an AK can shoot it down, if he is lucky. The Frontal Hull of 114-136.9mm of the Jumbos are impenetrable to the 88mm Anti-Tank Cannons and it was proven. The weaknesses of this Tank was on the less Armored sides and the rear, (including mines and a lucky shot through the optics). This isn’t War Thunder or World of Tanks, this is Reality. A King Tiger will still not likely penetrate the Jumbo while that Tiger carries the same 88mm Gun. The Disantvantage of the King Tiger is not on it’s mechanical failures or unreliability, it says that the Welding on it’s Armor was worse than expected, even if it didn’t penetrated the Armor will result in a spalling effect, which sends bits of projectiles which can injure Crew members, even the rear is vulnerable to 76mm Guns with Armor Piercing rounds. Tiger II are armed with 8.8 cm KwK 43, a 88 gun with more penetration than 88 found on Tiger I. Also the sides of the King Tiger is vulnerable too. I have been extensively looking at a tank that I think at the very least is a M4 that is not on any lists and at most a M4A3E2. I would like to coloberat with someone to research this. Send us a message at tanks.encyclopedia@gmail.com. Or contact us on Facebook if that is easier for you.